This is the Vacation Newsletter you heard about! People are always coming up to me and asking about the vacations they have seen us take in the Wagon Queen Family Truckster. We love to travel and not everyone can take a “Road Trip”. I love to find the best vacation deals, top luxury trips, awesome cruises, and some real unique experiences and share them with people. 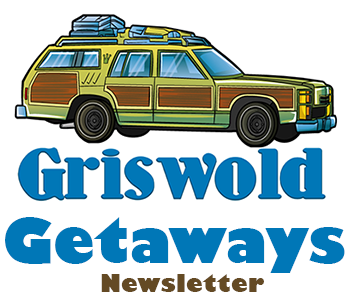 You can find these unique vacations and great vacation deals in my free Griswold Getaways Email Newsletter and start planning your vacation adventure.